Mary Oakes, PhD, REHS, Environmental Health Specialist, Las Vegas, NV. Steve Waters, PhD, Pharmacist, Branford, CN. Hans Schoemaker, PhD, Neuroscience Researcher, Sanofi-Synthelabo Recherche. Institute, Bagneaux, France. Pierre Konings, PhD, European Trademark and Design Attorney. NLO Shieldmark, Eindhoven Area,The Netherlands. Steve Weber, PhD, Chief Operating Officer and Vice President, PharmOptima LLC, Kalamazoo, MI. Chris Konkoy, PhD, Scientific Communications Consultant, Eli Lilly Pharmaceutical Co., Indianapolis, IN. Anne Wolka, PhD, Benefit-Risk Consultant Scientist, Eli Lilly Pharmaceutical Co., Indianapolis, IN. Matthew Rounseville, PhD, Senior Scientist, High Throughput Genomics (HTG), Tucson, AZ. Scott Ocheltree Hynes, PhD,Principle Research Scientist, Eli Lilly Pharmaceutical Co., Indianapolis, IN. David Clark, DVM, PhD, Retired, Arizona Cancer Center, Tucson, AZ. Brad Merrill, BS, PhD, Associate Professor, Departments of Biochemistry and Molecular Genetics. University of Illinois-Chicago, Ill.
Ms. Li Zhiwei, MS, CADRE Synthesis at Industrial Bank co., Ltd.China. Peg Davis, MS, Senior Biochemistry Technician, University of Arizona, Tucson, AZ. Vincent Hau, MD, PhD, Retinal Surgeon. Kaiser Permanente, Riverside, Ca. Diana Greene-Chandos, MD, Director of Neuroscience Critical Care, Departments of Neurosurgery and Neurology. The Ohio State University Medical Center. Columbus, Ohio. R.K. Rao, PhD, Professor of Physiology, University of Tennessee College of Medicine, Memphis, TN. Barbara Mania-Farnell, PhD, Professor of Pharmacology, Purdue University-Calumet, Hammond, IN. Ana Brownson, PhD, Senior Research Fellow, Biological Sciences, Colorado State University, Fort Collins, CO.
John Schetz, PhD, Professor of Physiology, University of North Texas, Fort Worth, TX. Sarah Thomas, PhD, Reader, Wolfson Institute of Ageing, United Medical and Dentistry School of Guys, St. Thomas and Kings College, Kings College London, U.K.
Thomas J. Abbruscato, PhD, Professor, Chairman and Vice Dean of Graduate Education, Texas Tech University College of Pharmacy, Amarillo, TX. Karen Mark, PhD, Assistant Professor, South College, College of Pharmacy, Tenn.
Jason Huber, PhD, Associate Professor, West Virginia University, College of Pharmacy, Morgantown, WV. Rachel Brown, PhD, Research Assistant Professor, Department of Integrative Biology and Pharmacology, University of Texas Health Sciences Center, Houston, TX. Ken Witt, PhD, Associate Professor, Southern Illinois University School of Pharmacy, Edwardsville, IL. 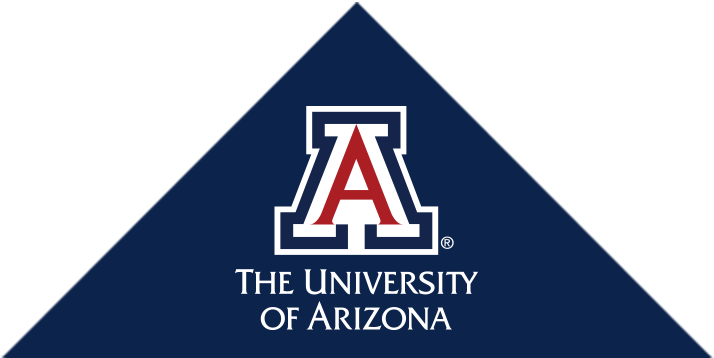 Patrick Ronaldson, PhD, Assistant Professor, Tenure Track, Department of Medical Pharmacology, University of Arizona. Tucson, AZ. Christopher Campos, PhD, Post-Doctoral Fellow, NIEHS/NIH, Research Triangle Park, NC. Melissa Seelbach, PhD, MD, Resident in Anesthesiology, University of Kentucky, Louisville, KY.
Sharon Hom, MS, RN, PhD, Clinical Instructor. College of Nursing, University of Arizona, Tucson, AZ. Jeff Lochhead, PhD, Post-Doctoral Fellow, University of Wisconsin Pharmacy School, Madison WI.